This year Boulder Green Streets has partnered with Attendify to create our best mobile app yet! 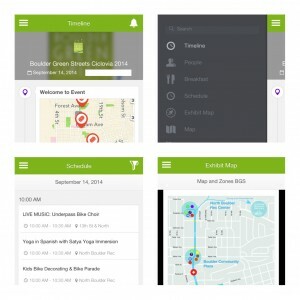 With this new app, attendees can connect with one another, share photos and status updates within the app and across social media platforms like Twitter & Facebook, view the event schedule of activities and add activities to their own personal schedules, view our route and zone map, and much more! When you open the app, you’ll see the main timeline. Just click the menu in the upper left hand corner to access the schedule, route map, and more!